LGM Games, creators of the Starpoint Gemini franchise published the second development diary for upcoming Starpoint Gemini 3. 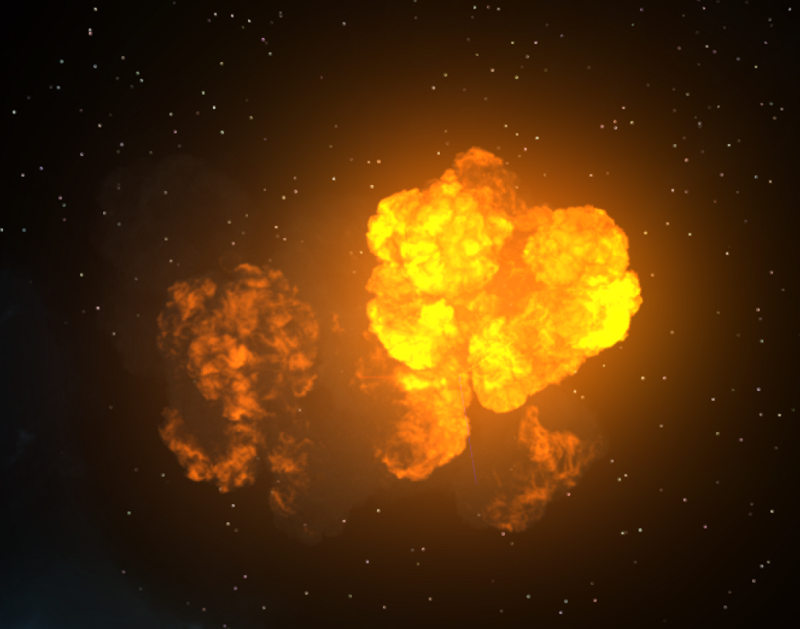 We’ve added support for high-fidelity explosion animations, with frame-blending support, local light casting (looks far better than simply stacking screen-space glow) and supported the creation of these effects via the game’s new Editor. We’ve already had small debris flying into space when hitting or destroying spaceships. It gave the impression of actually fragmenting the enemy’s hull during combat. This however, was never fully apparent (mostly due to our ambients being very dark), so in addition to improving those effects we’re considering a more robust hull damage model as well as hull-bending during the ship’s explosion to really sell the destruction effect. Starpoint Gemini 3 has had its graphics pipeline upgraded with Tile Based Light Culling technique known as Forward+ rendering. It’s widely considered the best of both worlds when it comes to taking advantage of both Forward Rendering systems and Deferred renderers. 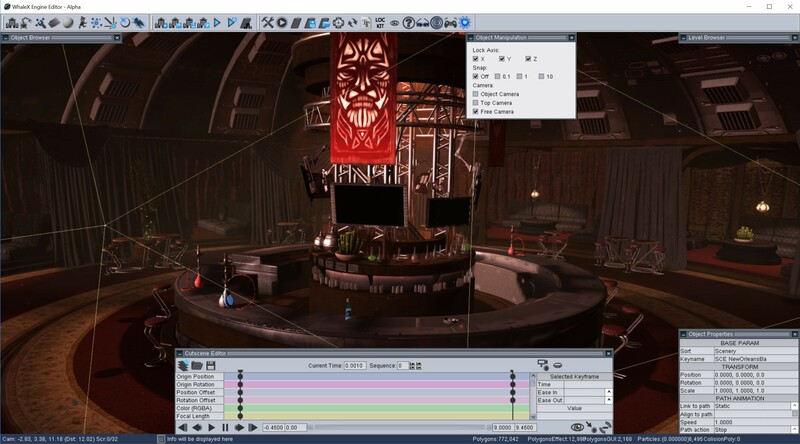 Forward rendering systems typically use less memory, and are the preferred choice in games with less objects on the screen (such as games set in space). They are, however, a lot less performant when it comes to rendering lots of dynamic lights. That is, unless you sort them out in volume tiles before drawing lit objects. We’re still deciding on the final light limit but it soon became apparent that objects can now handle 100+ lights without noticable framerate drops. We’ve had dozens of interiors in Warlords and managed to make them look pretty good, but we’ve had to limit the amount of reflective surfaces. Starpoint Gemini 3 will bring significantly more interiors which means that a good variety of surface materials is mandatory. We’ve developed a known technique for capturing and displaying local reflections via Reflection Capture probes and added both box and spherical projection sampling to the mix to properly render reflections of both linear and curved spaces. game – 3D models and particle emitters. 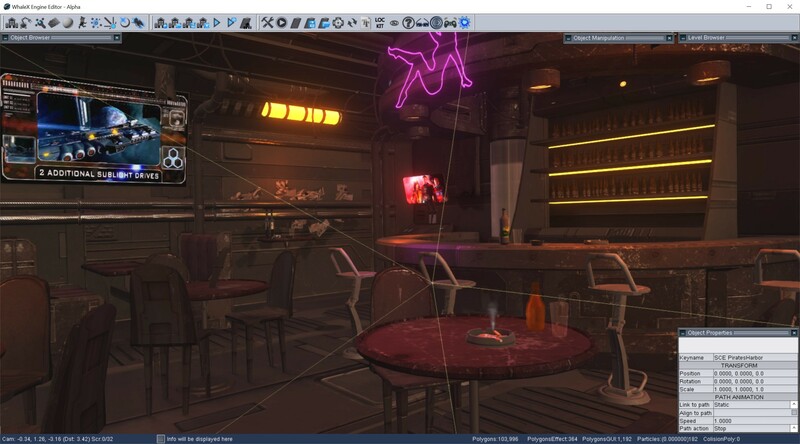 The material editor was previously mostly used for composing such ingredients into objects known as “assemblies”. When such an object was dynamic or potentially interactive (such as a spaceship) we’d add a subsection in the editor to be able to visualize all the data that comes together to form that entity. The world editor was a separate app that we tried to use for level design, but given the way that space was partitioned in Warlords made it difficult to load and display those assets in real time, so we mostly neglected it and the app fell behind as we moved the tech forward. 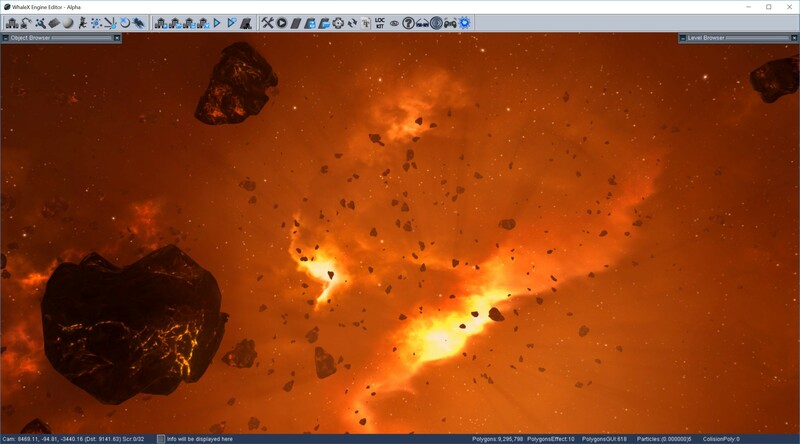 For Starpoint Gemini 3 we’ve decided to keep all the functionality in the same app and managed to port most of the world-building UI into the new monolithic editor. It would work properly this time around because we had one less parallel rendering system to worry about and we’ve built the level partitioning system from the ground up. movement during battles as players were expected to commit to a course once they’ve set it. 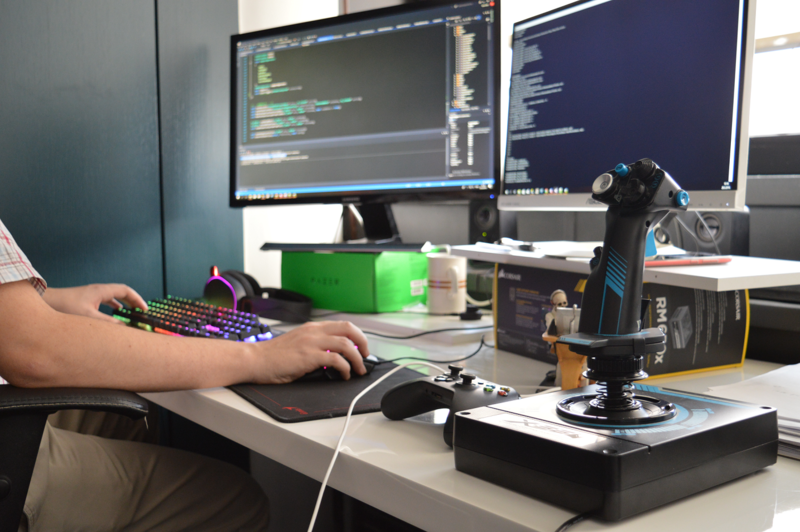 In Starpoint Gemini 3 we’re finally adding a manually controlled drone into the mix. This miniature player-controlled character has additional functionalities oriented towards expanding base gameplay as well as the opportunity to enter and retrieve resources from smaller derelicts and cave formations. That’s it for this technical diary!